For the uninitiated, China’s social media landscape is alien, yet familiar. It’s like visiting a shopping mall you haven’t been to in 20 years, and while you recognize many of the storefronts, the names have all changed. Due to the “Great Firewall of China” and the government’s policy of blocking websites and apps that fail to comply with its stringent requirements, services like Google (including Gmail, Google Translate, and all other Google products), Facebook, Instagram, and Twitter are blocked. Anyone who really wants to can still access them by using a virtual private network or VPN (my favorite software based VPN at the moment is ExpressVPN), but access is intermittent and slow. This blocking of online services by the Chinese government has created a “competition-free zone” where homegrown social media networks have been able to take root and flourish. Instead of Twitter, China has Weibo. Instead of YouTube there is YouKu. Instead of Google there is Baidu. But when it comes to the rest of the social media apps Westerners use, they’re all bundled to one degree or another in a single app called WeChat. WeChat is like no app outside China, and then again, it’s kind of like all of them–combined. It’s hard to overemphasize how ingrained WeChat is in China. WeChat has basic chat functionality, like Facebook Messenger or WhatsApp, but it’s also a replacement for Instagram, Gmail, and PayPal. In China the only people I email are other expatriates–if I’m communicating with a Chinese national it’s always on WeChat. Not only is WeChat the center of all my communication within China, it’s also how you send money to friends, pay for a taxi, buy food at the grocery store, purchase movie tickets, and in some cases it’s how you get your paycheck. WeChat is used at home but is also taking over the workplace with tools designed for the enterprise. And with almost 800 million active daily users it’s no exaggeration to say that everyone in China uses WeChat, and this poses a problem for someone like me. I’m an American entrepreneur in the process of opening a new office for my digital marketing agency in Shenzhen, China (coincidentally the same city that hosts the headquarters of WeChat’s corporate owner, Tencent). I’m also an author and public speaker, and I’ve built a personal brand outside of China that has been quite rewarding for me and my business, but in China nobody has a clue who I am. In China, I’m a nobody. There is a confusing array of WeChat account types to choose from, but if you’re not a Chinese national the option is pretty clear–you get the basic personal account that is available to foreigners (I won’t go into the several account types available, it’s confusing and unnecessary at this stage in your education). Go to the WeChat website or the appropriate app store and download the app to get started. There is nothing fancy to do with your account setup. You upload an icon for yourself, and there’s a photo and video sharing section called “Moments” (which is actually labeled as “My Posts” in the app) where you can upload a larger graphic, but other than that it’s just basic information. In the US when I walk into a business meeting everyone exchanges business cards. In China you’ll still see a business card from time to time but they’ve largely been replaced by the new custom of scanning one another’s QR codes. On my first day in Shenzhen I was a guest at a Startup Grind event and afterwards instead of everyone coming up to get my card, I held out my phone with my QR code and 10 people would scan it at once. That’s where many of my initial WeChat contacts came from. Since then whenever I make a presentation using slides I include one that has a huge version of my QR code and I give everyone a few seconds to scan it from the audience. I can gather hundreds of connections at a time this way. “WeChat reduces the friction involved in networking and introducing new contacts to zero,” says Matthew Brennan, Co-Founder of China Channel, which provides WeChat consulting for organizations. 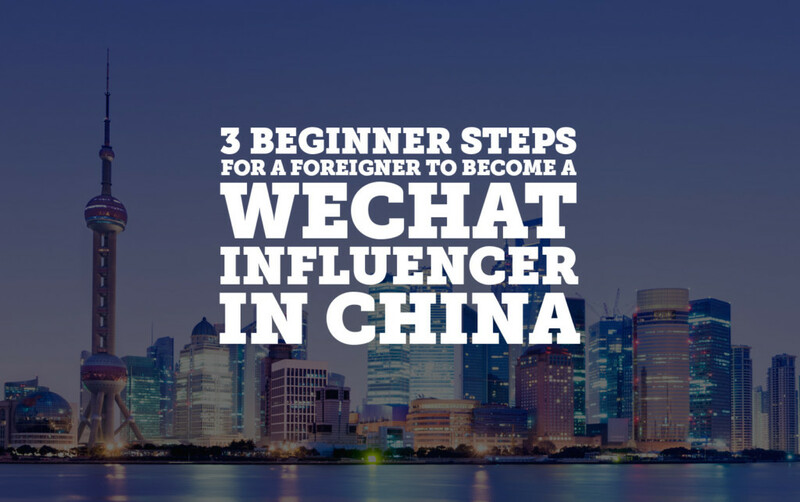 Indeed, it’s these introductions that have become the second most potent way for me to grow my WeChat community. As soon as I ask “What digital marketers should I connect with in Shenzhen?” I can have 10 introductions within seconds, because the process of connecting mutual friends is drop-dead easy compared to Twitter, Facebook, or any other social network. Once you’ve met some people and have your own list of contacts, people will start inviting you to WeChat groups, or you can ask your friends for recommendations as to what groups you should join. This is key, because there is no feature to search for groups on WeChat, and you’ll be hard pressed to find a list of “Best WeChat Groups to Join” anywhere on Google. Once you’re in a relevant group the rules are simple. Up to 500 people can join a group, everyone chats in the same thread, and there are no nested threads. You can reply to someone by long pressing their avatar, but they won’t know which of their messages you’re replying to unless you tell them, because your reply is going to show up as the newest comment in that group, not next to the comment you want to reply to. This lack of functionality produces a side benefit of sorts which is that people religiously monitor their WeChat groups so as to be able to respond quickly. This generates a level of activity and interaction I’ve never seen on Facebook or Twitter except in cases that involve viral or trending content. 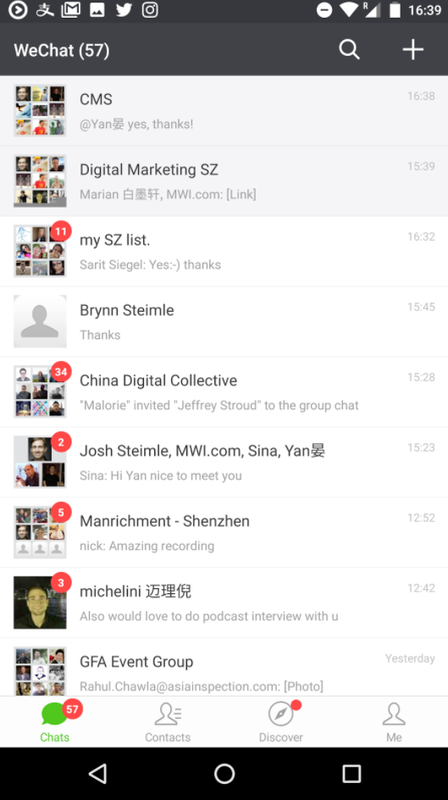 Whereas on Twitter our feeds are largely clogged with automated posts and few conversations, there is little to no automation happening in WeChat groups–it’s the real thing. Because of the high engagement in WeChat groups and the quality of conversation I’ve been able to use these groups to find potential employees, business partners, and clients. If I were to post an open position on Twitter today I would most likely get a single “heart” from a bot and no responses, whereas if I do the same on WeChat I’ll have 10 applicants within a few minutes. Regardless of the type of WeChat account you have you can create a group. You can’t find groups any more easily in WeChat than you can find individual accounts, so it helps if you’ve already built a decent network of people you can invite. Once you invite a few key players then they can invite the people they know to join the group and it can grow quickly. 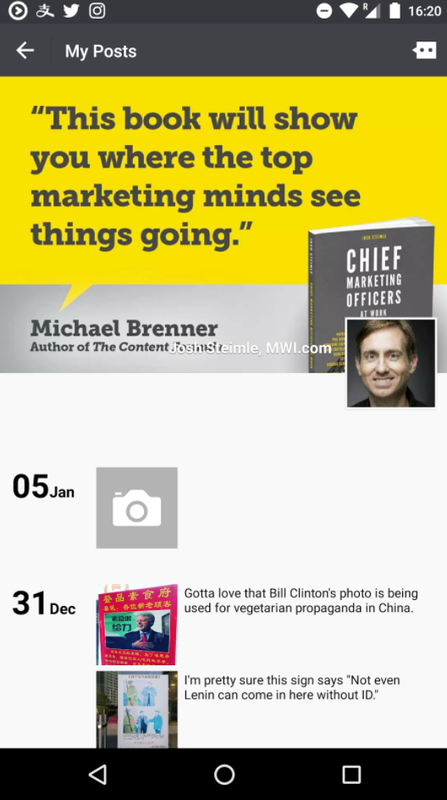 When I started a group focused on digital marketing in Shenzhen it hit 120 members within 24 hours. As the owner of a group you can send group messages to everyone, a power you won’t want to abuse, of course. But as marketing expert Derek Halpern of Social Triggers is fond of saying, “Build a loyal audience and then sell them stuff.” In just a few weeks I was able to attract an active group of hundreds of marketers in Shenzhen, China, and then a few months later when I became involved in organizing the China Marketing Summit I was able to send messages to my digital marketing group announcing it. Big numbers pushed in your face. Vanity metrics. Whereas Twitter and Instagram have gamified the process of getting followers by making those numbers plain for all to see, I have to search to figure out how many people are following me on my WeChat account. 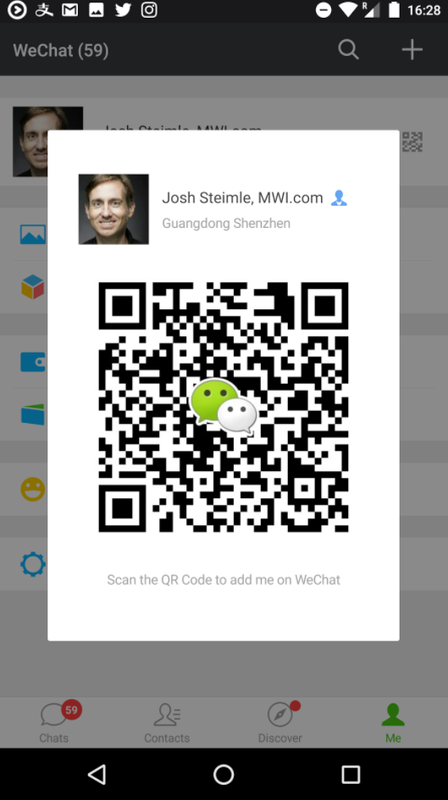 “The WeChat team has been very clear in their vision for the platform,” Brennan says. “They want the app to be a place for real authentic communication.” The app forces this by making it difficult to automate posting. While there is a feed, similar to Facebook and Twitter, it’s not the main attraction. Brennan explains how this and other aspects of WeChat are perfectly suited to Chinese culture. “It’s difficult to ‘lose face’ on WeChat,” he says. “When you post to your feed only likes from mutual friends will be displayed to your followers. No one except you will ever know exactly how popular or unpopular you are.” Additionally, unlike WhatsApp you can’t see if someone has read the message you sent them. While this is handy for the person sending messages, it’s not always useful for the recipient. Because WeChat doesn’t show this level of interaction you can reply tomorrow without embarrassment. As a someone used to Facebook, Twitter, and Instagram, who is now working to become an influencer in China, I miss many of the features I’ve become accustomed to on Western social media. I wish I had easier access to the numbers and details. However, what I do know is that I’m getting tangible results, like finding potential employees, partners, and customers. Perhaps those other numbers don’t matter nearly as much as we think.